Conceived as a haven of relaxation and contemporary style, Alila Jakarta offers a cool, modern retreat for young urbanites and executives. 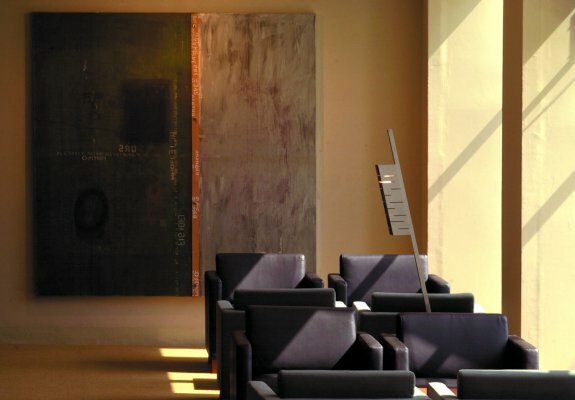 The hotel’s clean, modern lines embrace an abstract-minimalist interior. The name Alila comes from Sanskrit meaning ‘surprise’, which suitably describes the refreshing character of the hotel and the reaction of most guests. This concept sets a trend for the city and is in keeping with the emergent energy of Jakarta. 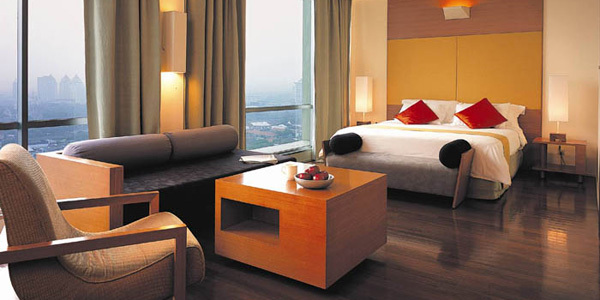 Aside from Alila Jakarta’s in-room amenities, the hotel facilities are expectedly extensive. 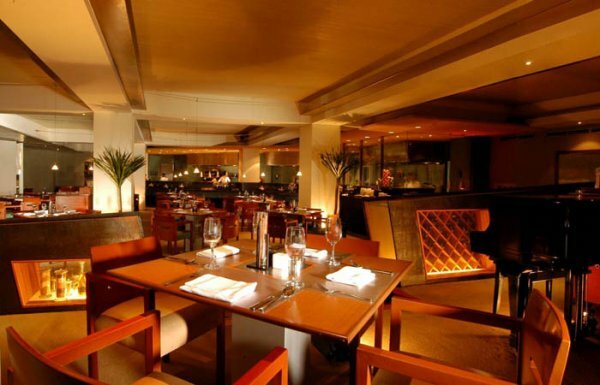 The eclectic ‘buzz’ Restaurant serves an international menu from an open kitchen while the Space Lounge provides a quiet spot for sipping cocktails. For indulgence and wellness, Spa Alila specially creates natural, healing spa treatments to promote the cleansing and regeneration of your body, while inducing total mental and physical relaxation. 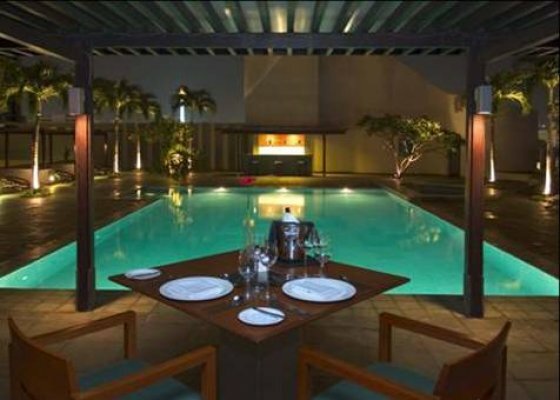 Gym Alila and the swimming pool complete the range of leisure services for your enjoyment. Executives are well served by the business centre and a choice of ten meeting rooms with capacities for up to 500 people. State-of-the-art gym with the latest CYBEX equipment and skilled personal trainers. 2 suites and 2 treatment rooms, complete with steam and sauna. Specialises in aromatherapy and traditional Indonesian spa healing techniques. 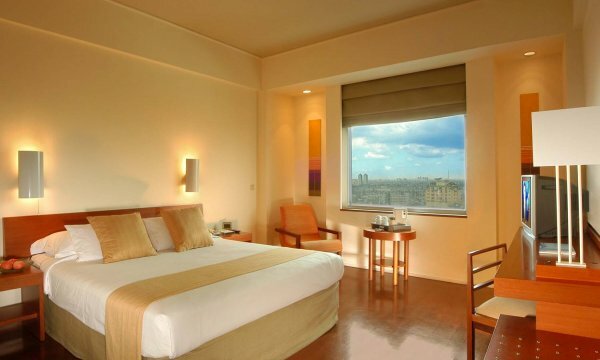 An oasis of relaxation in the city with splendid views of Jakarta. Enjoy our fresh strawberry daiquiri at the pool bar during sunset – a firm favourite. We can cater for cocktail parties or weddings for 500 guests or theatre-style presentations for 300 delegates with full audio/video support. 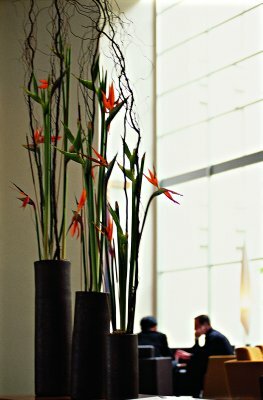 Located on levels 3 & 5, with the capacity to accommodate 10 – 100 guests. Open daily from 7 am – 11 pm, with scanning services, appointment set-ups, secretarial and translation services, temporary working space, and broadband internat access. Open daily from 7 am – 11 pm, located on level 10. Cocktail hours from 6 pm – 8 pm, inclusive of complimentary standard house pours. When the work day is finished, relax with a book from the lounge’s library while you enjoy a snack and pre-dinner cocktail. It’s the perfect setting for a business rendezvous, a casual meeting with friends or simply to unwind alone after a hectic day. For your convenience, we also have private meeting rooms complete with broadband internet and wi-fi access. Enjoy the calming chill-out music and signature beverages whilst surfing the net via wi-fi connection. Share a platter of snacks with friends as you play chess, mahjong or one of the other board games freely available. Hosting regular exhibitions throughout the year, Space Lounge is right for anything. tnc Cafe is the ideal space to close that deal, relax and unwind with friends, catch up with a good book or review the daily national newspapers. Open daily from 8 am till 11 pm, tnc Cafe serves the delicacies — cakes, sandwiches, cookies, accompanied by collection of Dilmah tea, Alila’s own special coffee blend, or the delightful selection of smoothies and juices. Open daily from 7 am – 10 pm. 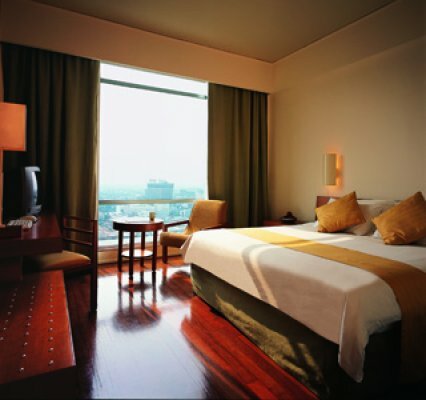 Located in Central Jakarta, in the heart of old Batavia or Kota area, Alila Jakarta is near many historical landmarks. It overlooks the Presidential Palace, the National Museum (Monas) and is just 4 km from the city’s business district and the biggest Indonesian trade centre, and 45 minutes or 25 km from the Soekarno Hatta International airport. Alila Jakarta is also becoming a destination in itself. Its sleek informality provides Jakartans with a unique venue to see and be seen, making it the ideal residence for foreign and local business and leisure travellers. It is not often that a Jakarta hotel is featured on the cover of international design magazines. So when Alila Jakarta appeared on the cover of the June 2002 U.S. edition of Interior Design magazine, more than a few people took notice. Designed by the architectural firm Denton Corker Marshall, Alila Jakarta has been praised for reminding us that “simplicity and serenity go hand in hand” with its “elegant and elemental furnishings”. Indeed, since opening its doors in May 2001 Alila Jakarta has become known as the first true design hotel in the city and set the standard for architecture and service that reflect contemporary life. Each of Alila Jakarta’s 246 rooms, suites and apartments features parquet floors and sweeping views over Jakarta, taking in sights such as the Presidential Palace, National Museum and other historical landmarks. 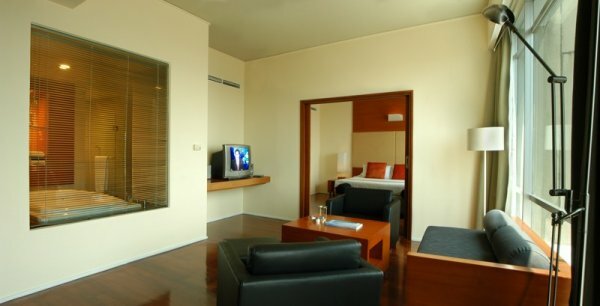 All rooms are modern in design, combining stylish simplicity with exceptional comfort and convenience. 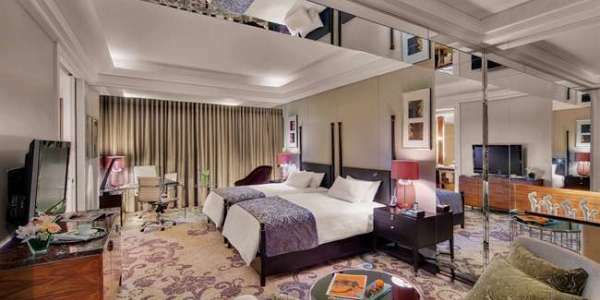 The hotel houses 152 Deluxe and 74 Executive Rooms, each 30 sqm in size and equipped with high-speed internet access. In addition, there are 12 Executive Suites (53 sqm), 5 Club Suites (61 sqm), 2 Alila Suites (83 sqm) and 1 spacious apartment (174 sqm). All suites and apartments feature a separate living area, a spacious work desk, a large bathroom with bathtub for two, and are complemented by WiFi, 32-inch flatscreen TV, iPod dock and minibar. Taste in all its forms…stimulus for all the senses, buzz at Alila Jakarta offers a feast from the East and the best from the West, within a lively, stylish ambience that crackles with life. Eating well is an experience to share. At buzz, everyone shares that experience even when dining alone. buzz was nominated as one of Indonesia’s Best Restaurants for 2009 by Indonesia Tatler & HSBC for excellent food and best service! A Shanghai-style modern bistro with open kitchen behind the glass wall. An extensive variety of Shanghainese cuisine, from the simple to the sumptuous – this is the land of the best soup, noodle, rice, dumplings, dumplings, and more dumplings! At Spa Alila, we are committed to providing unique treatments from the heart, blending ancient Asian healing techniques with age-old beauty recipes featuring the curative benefits of fresh, natural, quality ingredients. Trained in anatomical physiology, massage, meditation and service, our local therapists combine the latest organic nutrition and health knowledge with the most essential element – warm, genuine care that flows from the heart through the hands, to stimulate, rejuvenate, balance and relax your mind and body. Balancing expertise with an intuitive sense of well-being, and through the contemporary expression of centuries-old therapies, at Spa Alila we create a natural, heartfelt and surprisingly different experience..